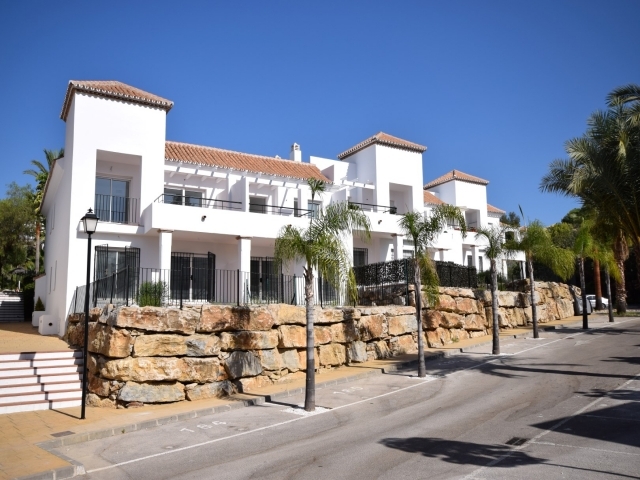 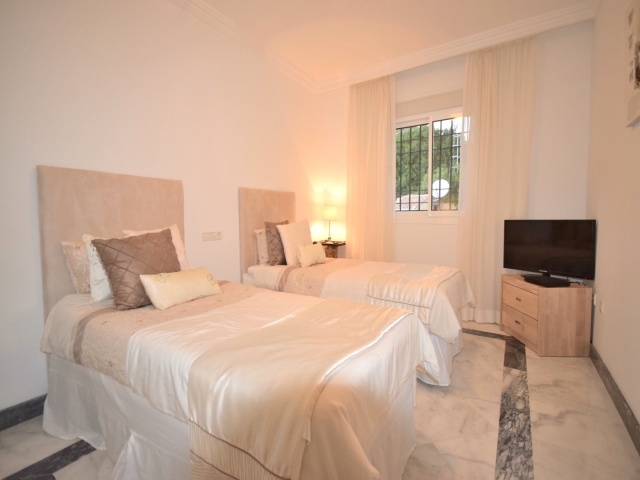 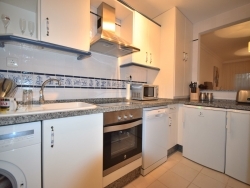 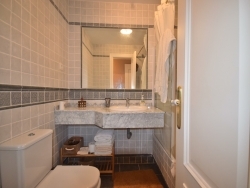 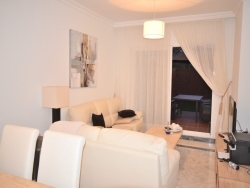 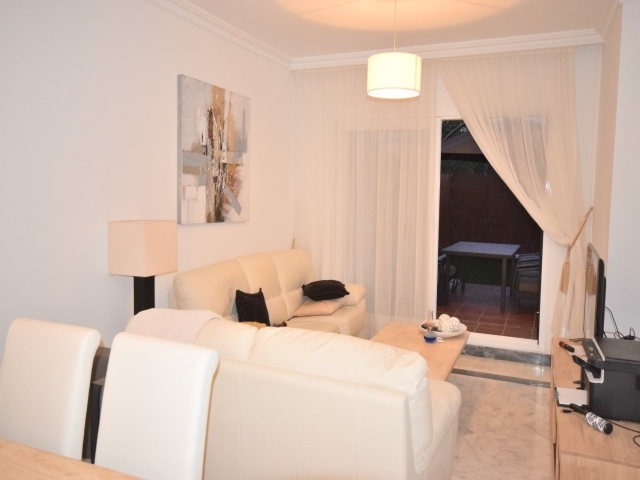 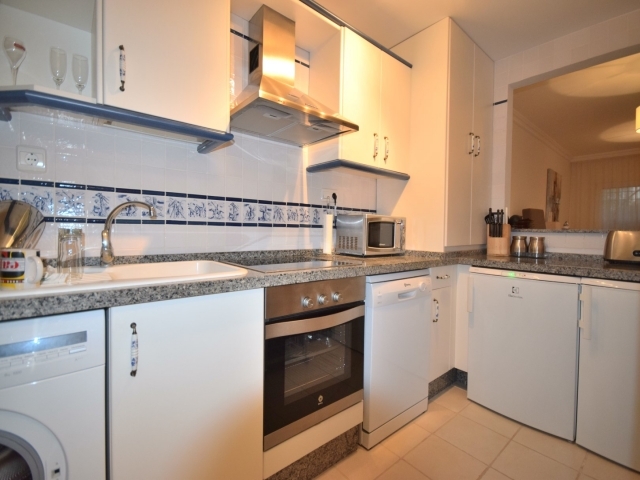 Cosy two bedroom ground floor apartment for holiday rentals in Señorio de Gonzaga. 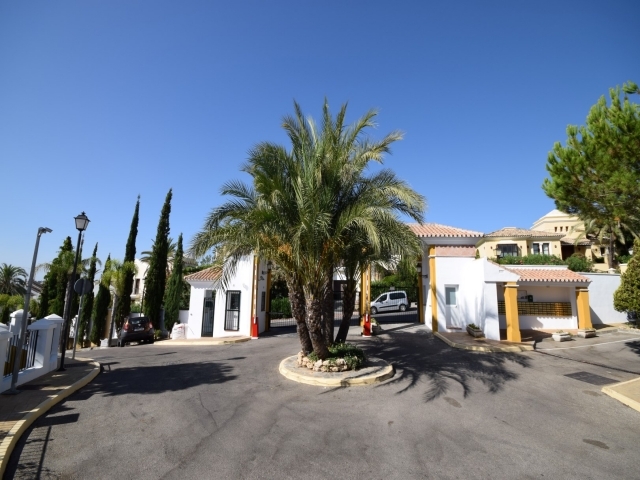 Gated community with designated parking, just a short drive to all amenities including Puerto Banús and the beach. 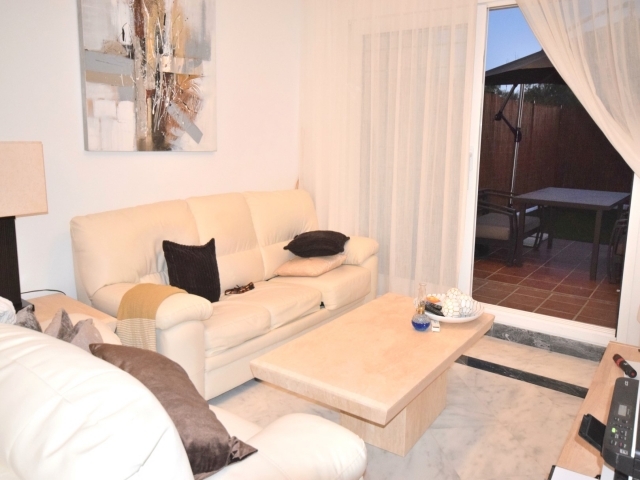  The apartment comprises a fully equipped kitchen to the left and a combined living and dining area with dining space for four people and a comfortable sofa and TV area leading out to the terrace. 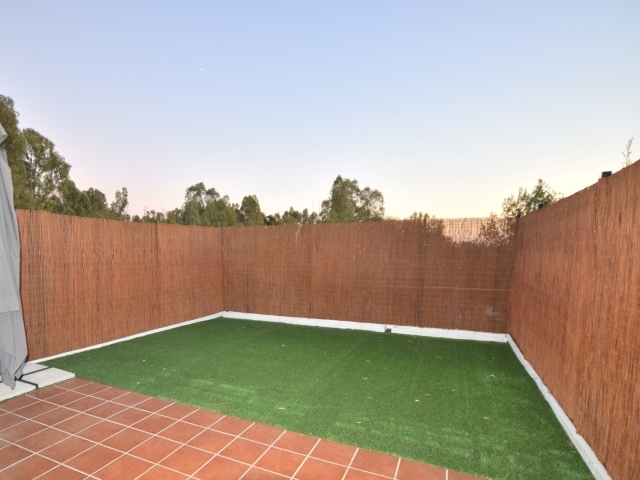 The terrace has an outdoor dining area and offers a small grassed area too. 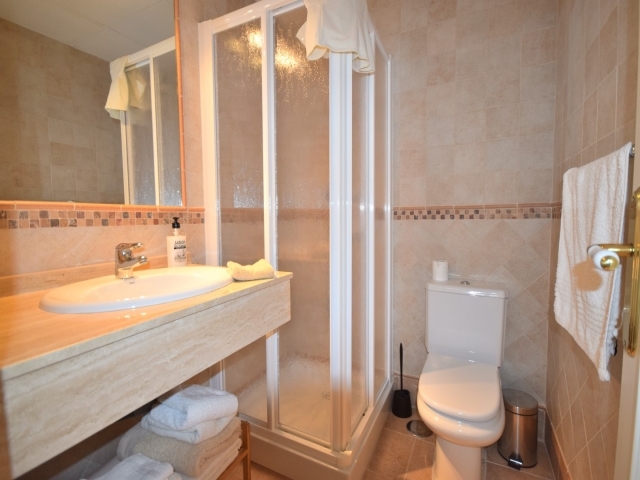 As you enter the apartment to the right you will find two bedrooms and two bathrooms.